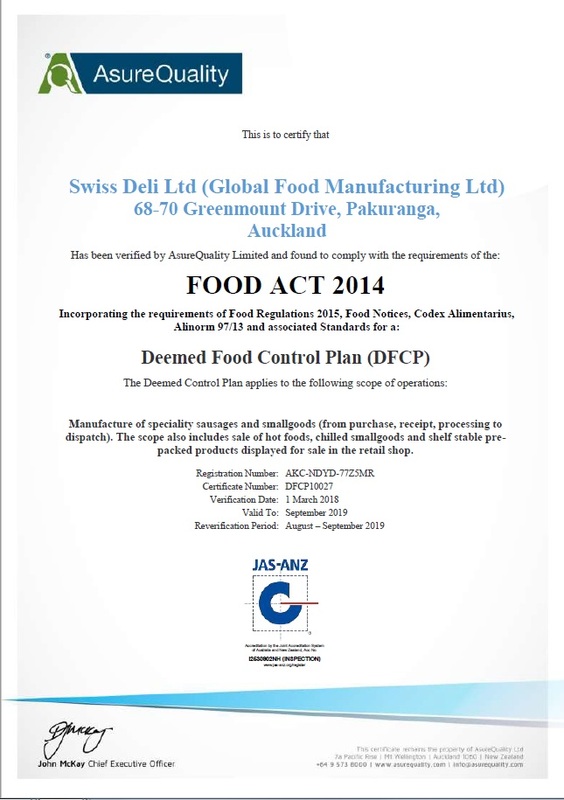 Swiss Deli is focused on product quality and customer service and have an MPI approved HACCP based Food Safety Program for all our meats and product production. We strive for the highest standards of safety and hygiene in all procedures and in all products. 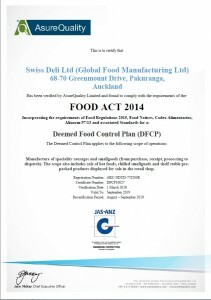 Our MPI certification ensures we continue to meet the expectations and requirements as a supplier of safe and suitable food products.